In this photo, Oliver Willis does his best to demonstrate just how elite a vacation in Hawaii is. 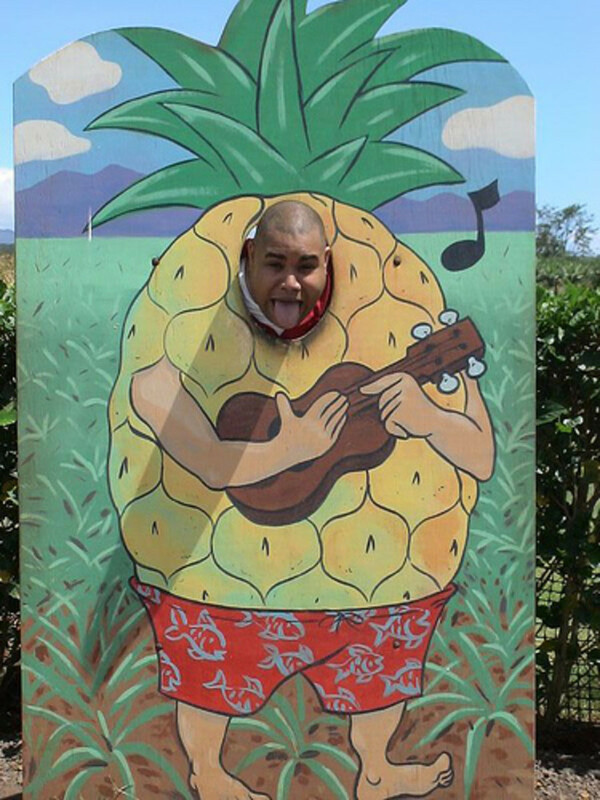 It isn&apos;t just any blue blood that can make a face in a pineapple cutout. So, the idiot meme du jour (aka, its summer time and air time/newspaper columns must be filled!) 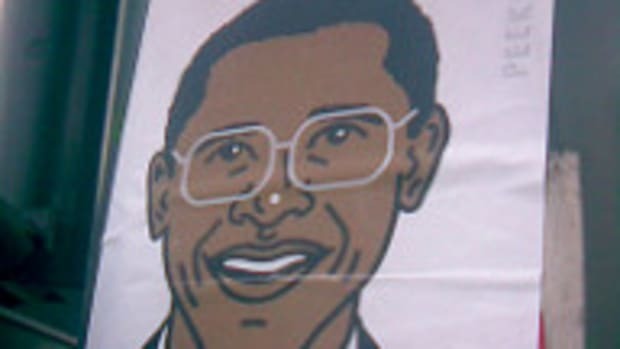 is that Barack Obama is once again going back to the well of elitism by going on vacation to Hawaii. Really. Well, first of all, as has been noted before, Obama had a middle class upbringing and married a woman from working class Chicago. Sen. McCain&apos;s father was an admiral and after McCain ditched his first wife, he married a heiress beauty pageant contestant. Until his book topped the charts, Sen. Obama had student loans he was still repaying. Sen. McCain lives on a multi-acre family compound with numerous other homes across the country. Now, speaking specifically about vacations, Sen. McCain spent his downtime earlier this year on his palatial ranch (including a man made pond), entertaining the mainstream media with barbecue in an event catered by his family&apos;s personal assistant. Sen. Obama is on vacation in Hawaii, where his sister (among other members of his family) lives. On Sunday Cokie Roberts - the very definition of the blue blood Washington elitists who have so much wealth and power in this country - called Hawaii "exotic" and "foreign" (and used that as a reason for why Sen. Obama shouldn&apos;t have gone there). Granted, I would expect maybe for Sen. McCain to make this mistake since Hawaii became a state when McCain was 22 (!) and as such he finds the concept that Hawaii is now a state something of a new novelty, but while it is in the Pacific, Hawaii is in fact one of our states. They&apos;ve got a governor, two senators and everything. That same Hawaiian government - a government elected by the AMERICANS who live in THE STATE of Hawaii - has some statistics on the amount of people who travel to the state. So far this year Hawaii has had 2.596 million domestic visitors. I&apos;m going to go out on a limb here and guess that that number is far smaller than the amount of people who visited the Bush family compound in Kennebunkport, Maine (how many of you have a "family compound"? ), or the amount of people who vacationed at the Bush family ranch in Crawford, Texas (I don&apos;t know about you, but the Willis family does not have a ranch, not even in southern Maryland or in the rural areas of Jamaica), and 2.5 million is way way more than the amount of visitors to Camp McCain, where a professional staff saw to the needs of the assembled journalists (themselves often on the receiving end of an elite lifestyle far beyond the average middle class American). Like Senator Obama, I went on vacation a few years ago to Hawaii. And I can assure you I&apos;m not anywhere near the net worth of the elite with notable names like Kennedy, Bush... and McCain.